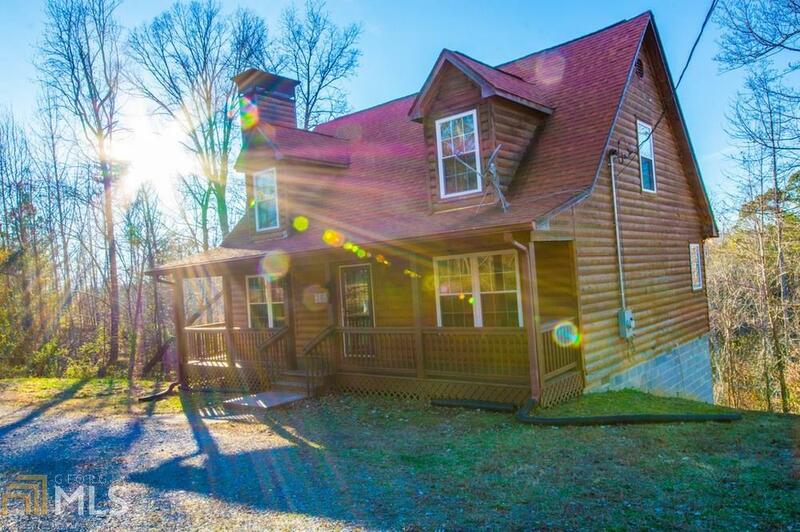 Secluded log cabin style home overlooking a private wooded ravine. Enjoy quiet evening sunsets from the screened in back porch! Open living room with beautiful stone mantle fireplace. Kitchen features an island with breakfast bar. Dishwasher/oven included. 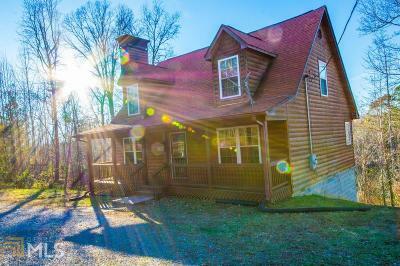 Master on main has walk-in closet and en-suite master bath with separate shower and garden tub. Two bedrooms upstairs with gabled ceilings. Gorgeous hardwood floors throughout. Directions: Please Use Gps. Gravel Road Continues Onto Property, Ignore "private Drive" Sign.